Please see our Headwear category for more choices. 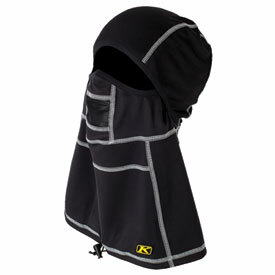 Minimal design using Windstopper and Coolmax fabrics allows the Rogue Balaclava to be extremely comfortable while still offering the functional benefits of technical fabrics. Coolmax breathable moisture-wicking fabric on side of head. Over-the-collar design prevents rain/snow from entering jacket. Cinch cord at bottom seals out weather. Hinging functionality / over nose / under nose / over mouth / below mouth / covering chin / pulled all the way down and use for neck warmer. Flat lock stitching for comfort.